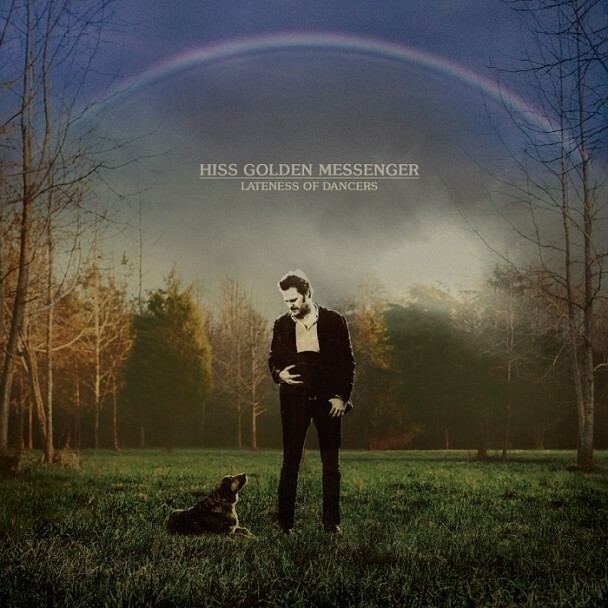 There’s a lot to be excited about with Lateness Of Dancers, the fifth and newest release (and Merge debut) from Hiss Golden Messenger, aka M.C. Taylor and his constantly shifting lineup. That lineup is bigger than ever here, and features William Tyler, Megafaun members Phil and Brad Cook, and Mountain Man member Alexandra Sauser-Monnig. It is — as Chris put it in his writeup of the single “Saturday’s Song” — “an all-star team of modern Southern folk-rock.” Plus, that huge new lineup hasn’t gotten in the way of Taylor’s emotional power; rather they feed into one another and produce tracks like “Mahogany Dread.” Now you can stream the entire album over on Pitchfork. Lateness Of Dancers is out 9/9 via Merge.